I’m almost 2 weeks late but… HAPPY NEW YEAR! 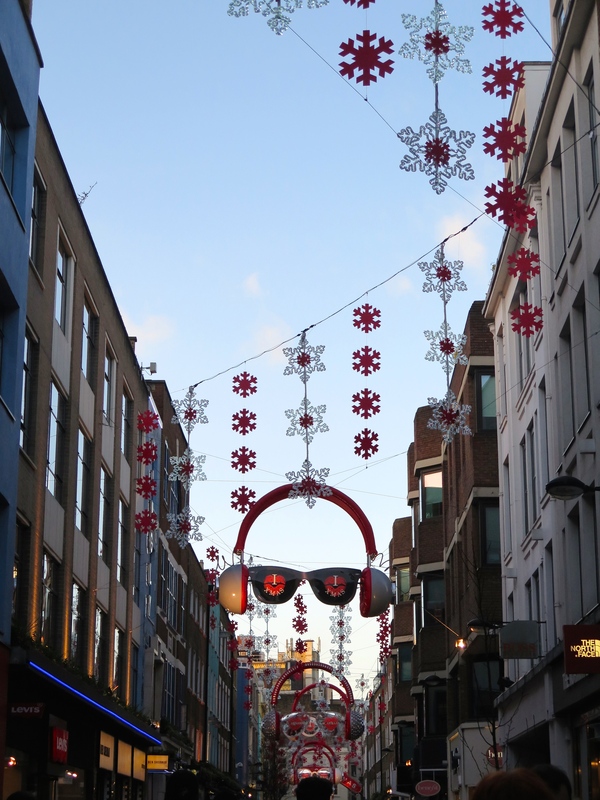 I know we all talked about the upcoming detox when 2014 was coming to its end, but let’s face it: this girls has cravings (more often than will power at the moment) so she had to head off to her favourite area in London (Soho, right?) 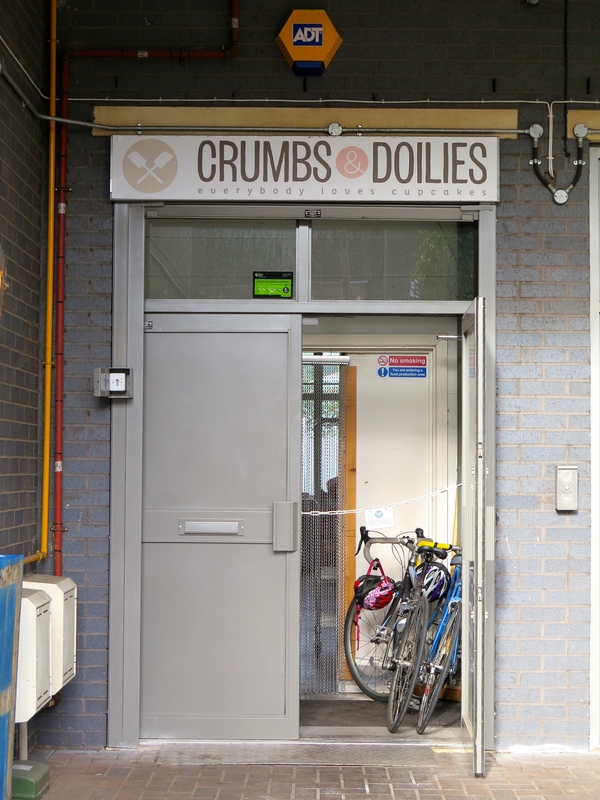 and pop by a brand new cupcake shop: Crumbs and Doilies! 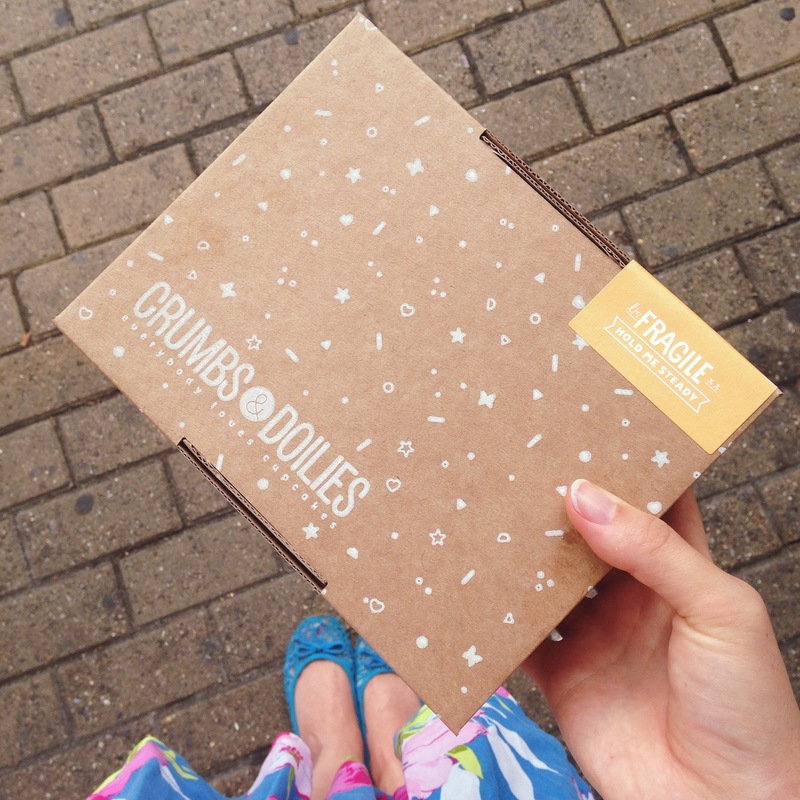 If you follow the food lovers community on the internet, you should probably know about Crumbs and Doilies… Cupcake Jemma? No? Jamie’s FoodTube? Basically, Jemma Wilson has built this cupcake/cake business a while back now, but the company has always provided cupcakes and cakes to order and on weekly occasions at certains foodie spots in London (Duke of York Square Market, Covent Garden, Cake and Bake Shows and other food festivals – I will talk about National Burger day in a minute). 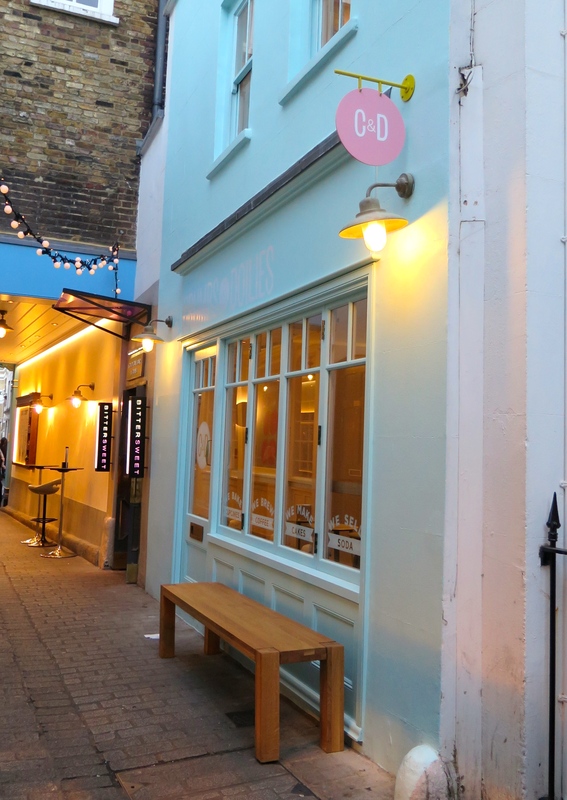 Anyway, they have finally opened a shop, with the help of many generous and loyal customers on Kickstarter and it is a cutie! 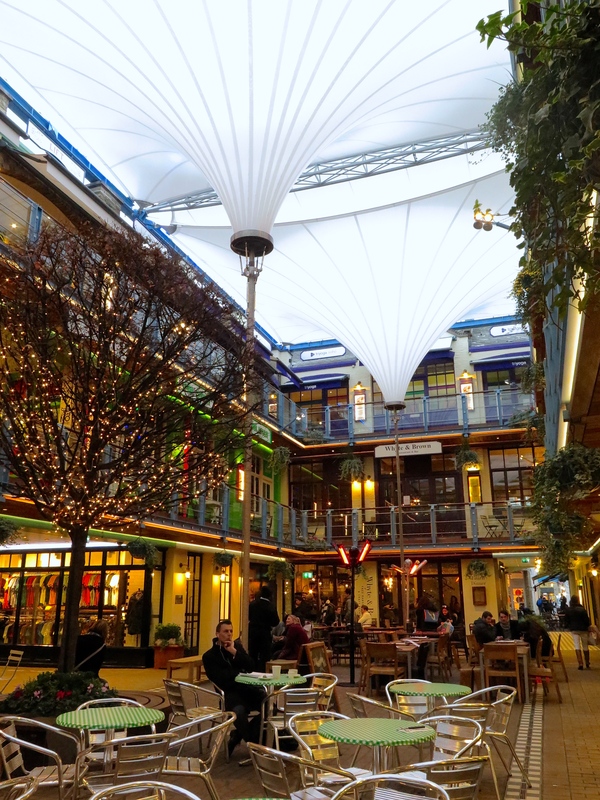 Just head over to Kingly Court – which was looking absolutely dashing over the holidays with its fairy lights, its amazing ambiance and the wonders coming out of the kitchens of those restaurants to happy hungry people’s plates – off Carnaby Street. I know their cupcakes really well now… For 2 reasons: first, my “internship” with them this summer where I got to work (not necessarily bake whatsoever) in their amazing kitchen with all their high standard material and ingredients; second, I own a copy of Jemma’s coobook (signed ;P) where you can find almost all their recipes (my favourite remains their chocolate guiness cupcake – trust me on that, guiness and chocolate were meant to get together – and red velvet of course). 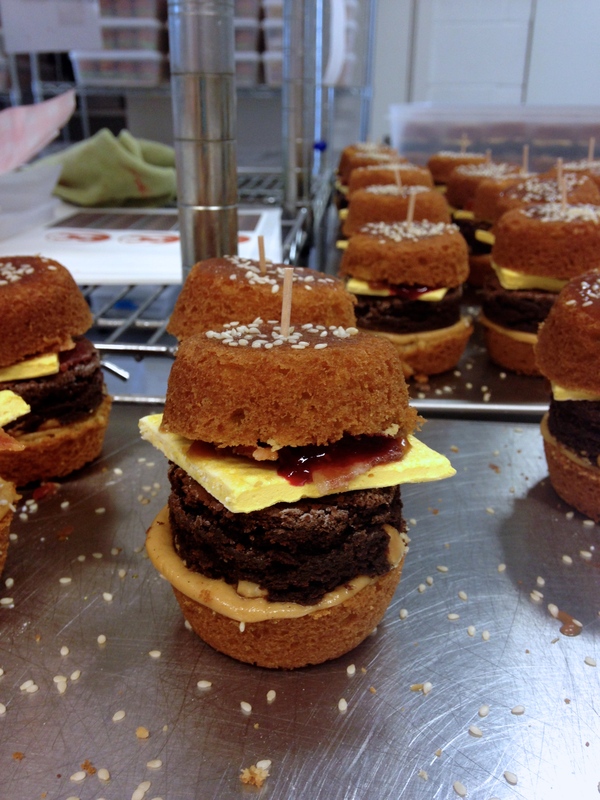 National Burger day when the girls made about 400 mini cake burgers. Overall, although I sometimes felt I was a bit taken advantage of with my status of “intern”, I am happy to have had this experience, and Jemma is one of the nicest and coolest people I have ever met and look up to. 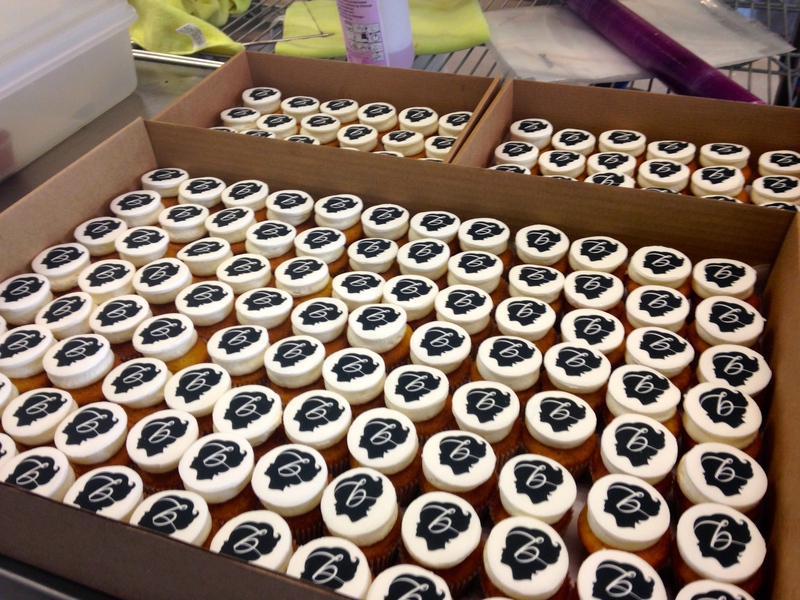 + I got to take home cupcakes almost every day I was working there. But back to their cupcake shop! 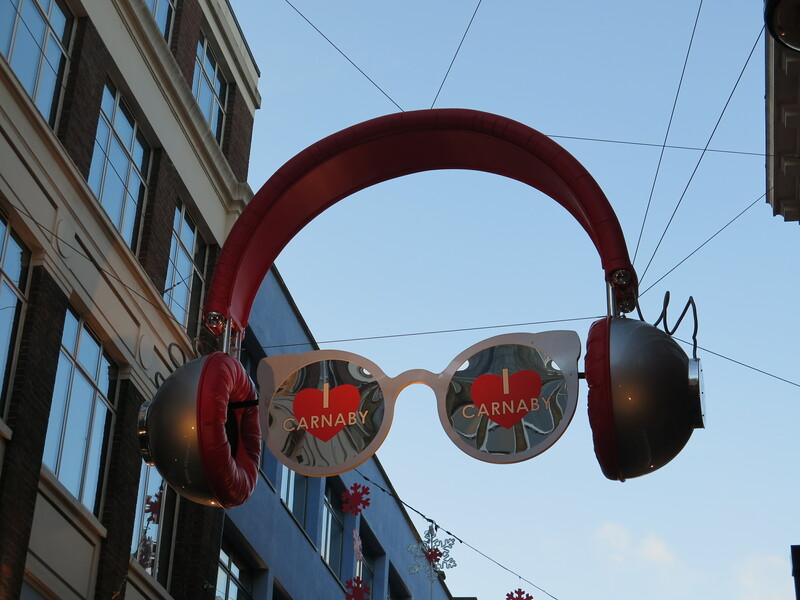 It’s very cute, and truly has the spirit of the company with its colours, designs and quality. 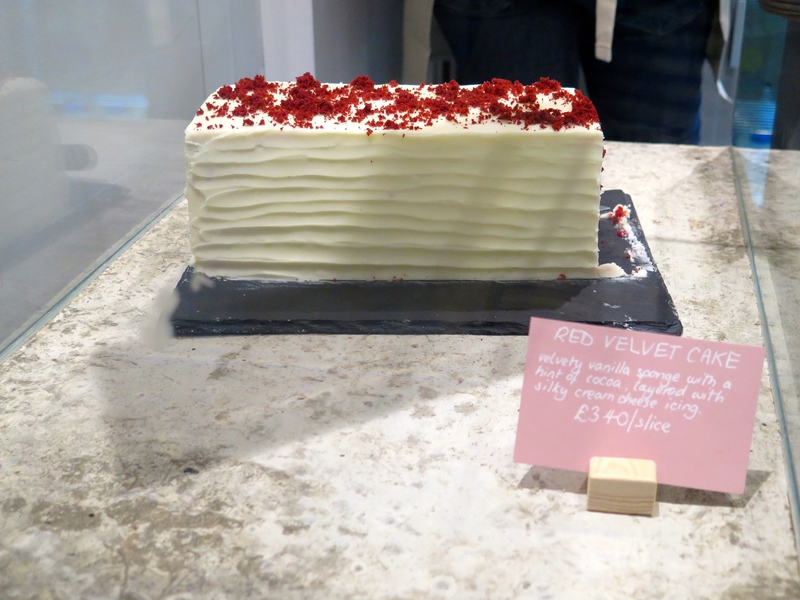 I will say this: I go back to the Hummingbird bakery and always come out disappointed… C&D has truly reached a quality of cake comparable to Georgetown Cupcakes in America. 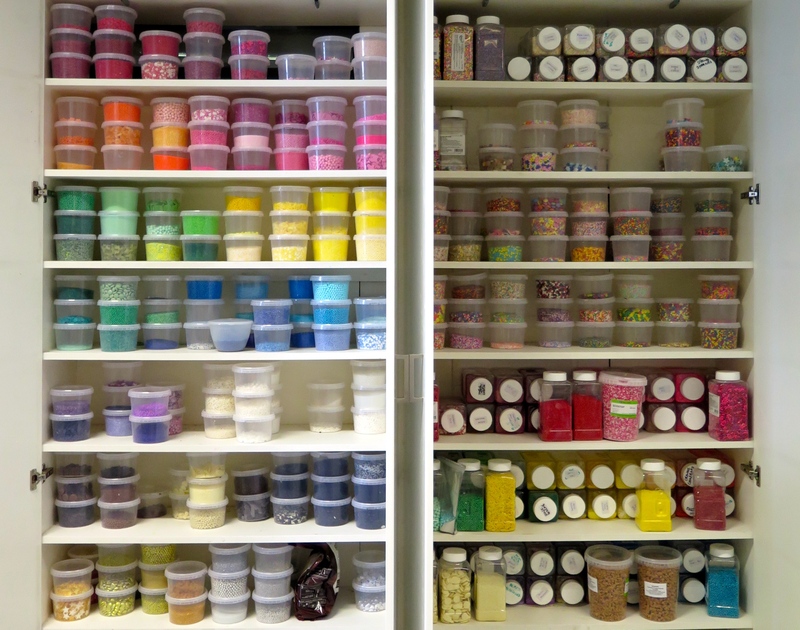 They use the best quality ingredients, and the cake decorating is the most professional, clean and impressive I have ever seen in cake decorating (I am not talking about French pastry). 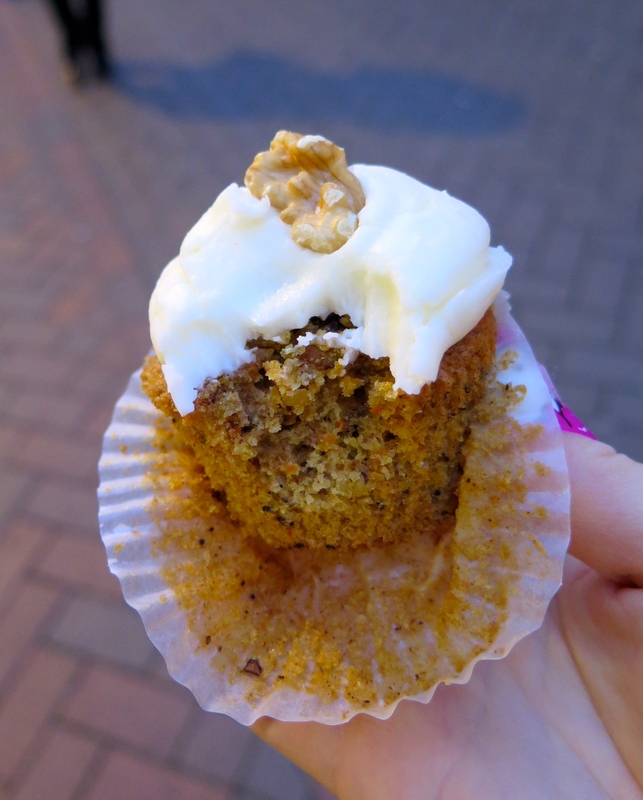 Last times I went, I opted for the moistest Carrot cake cupcake, with its classic cream cheese icing, so so so delicious. 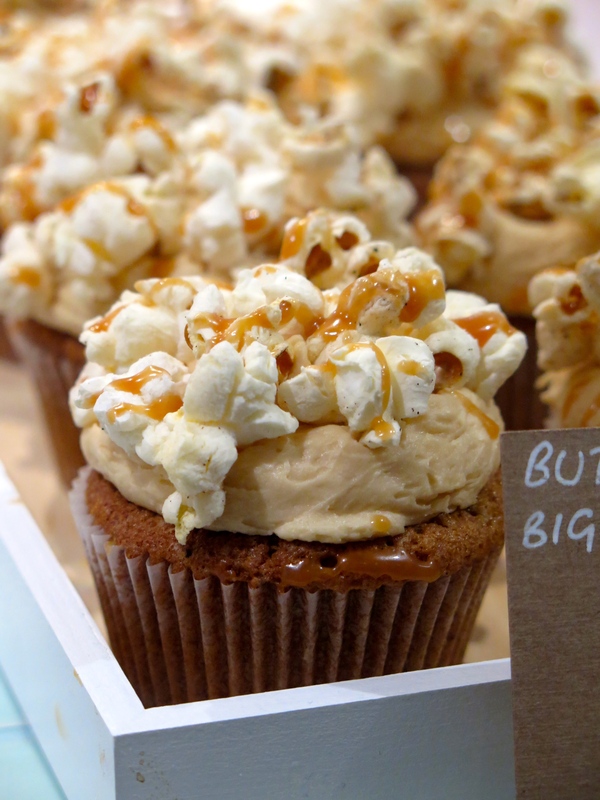 I also loose the rosemary and honey cupcake, a very sophisticated and unique flavour of theirs. 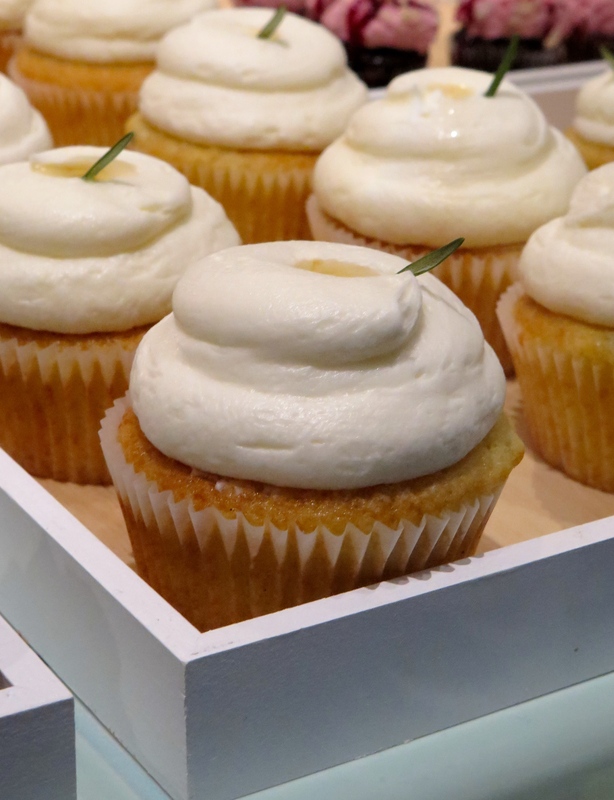 Another good thing about their cupcakes, are the minis: usually, minis tend to be dry and a let down. But I fed myself on their minis every day after work last summer and the big ones couldn’t have brought more satisfaction. Just 2 bites, or 1 if you’re very greedy but it goes perfectly well with a cup of their coffee. Quite pricey I found, but like everything else they do: really good coffee, very well made; (I was a barista myself and know what a good flat white, latte, or cappuccino is). sort of things you did on the placement? As I know you said you didn’t get to bake. Did you do a 4 week placement? Was there plenty to do? I don’t know if I would recommend it: it really depends what you’re looking for. 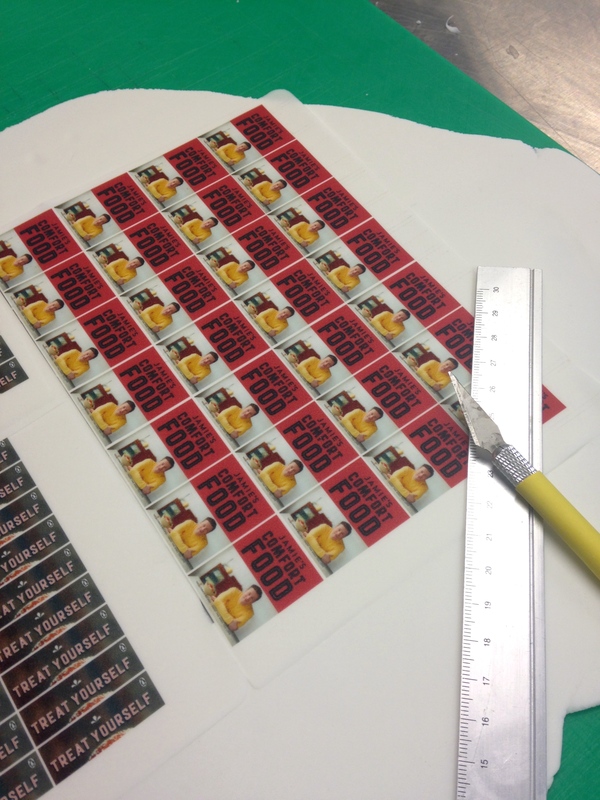 I was happy to do it because it was a 4 week insight of how things are run in a profession kitchen and I did get to bring home a lot of cupcakes but I sometimes felt underwhelmed or a bit frustrated. 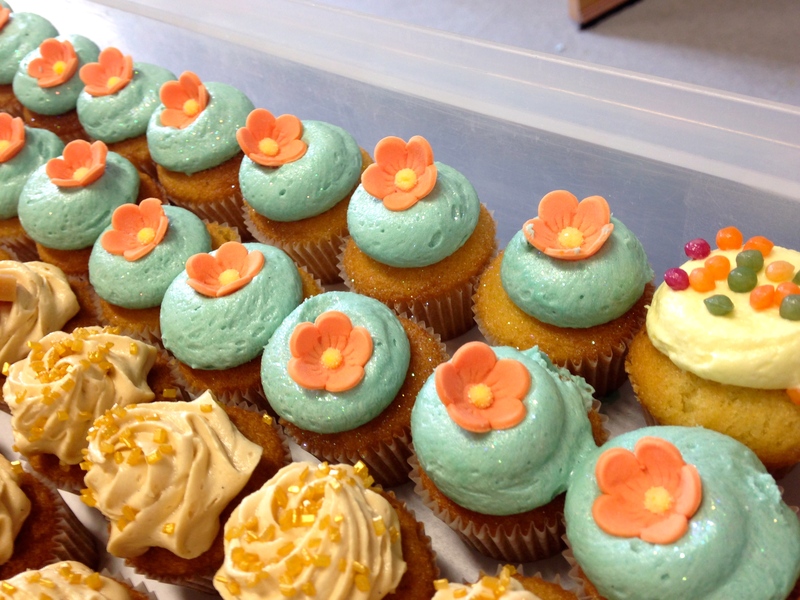 The first 2 weeks were fine: I was helping sorting out cupcakes, decorating cupcakes that don’t require to be too pretty (lemon mess ones) – only – and help prep things (meringue, royal icing, lemon curd, zest lemons, butter pans). 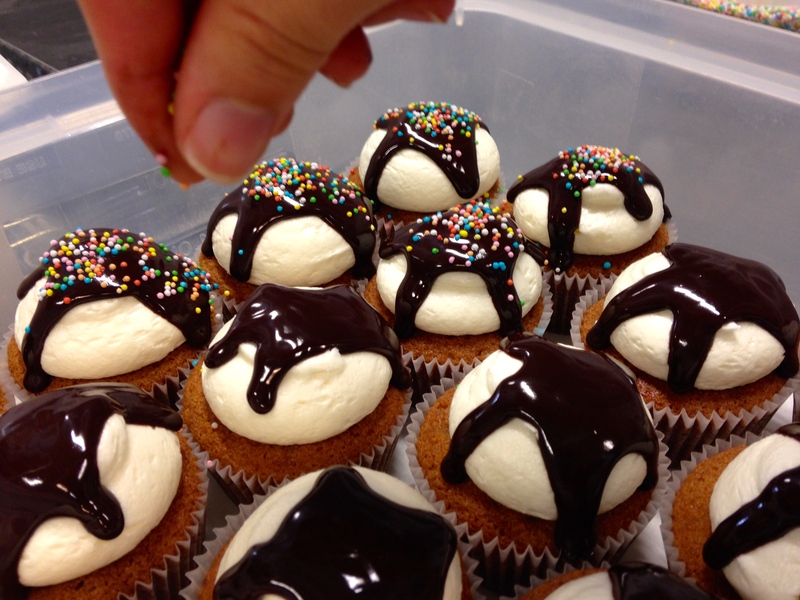 I also got to box cupcakes which is pretty fun and I got to bring some home. 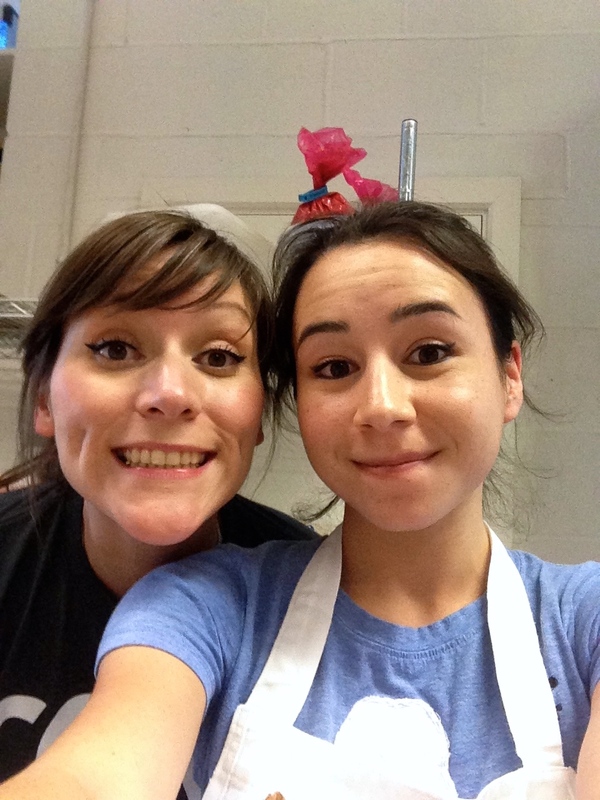 I also learnt how to ice royal icing, and roll sugar paste. However, after the first 2 weeks, the girls in the kitchen started taking for granted I should do the things they didn’t want to do/didn’t have time to do. I was folding boxes, doing dishes. Obviously, those things are part of the experience of learning how things work in a professional kitchen, but doing hours of dishes that last week was a bit of a joke as I was basically doing the job the others were paid for, and I was not getting paid (or I was receiving 15£/day “towards lunch and transport”). Jemma Wilson was lovely to me, she mostly worked in the office but whenever she baked in the kitchen she was really friendly. 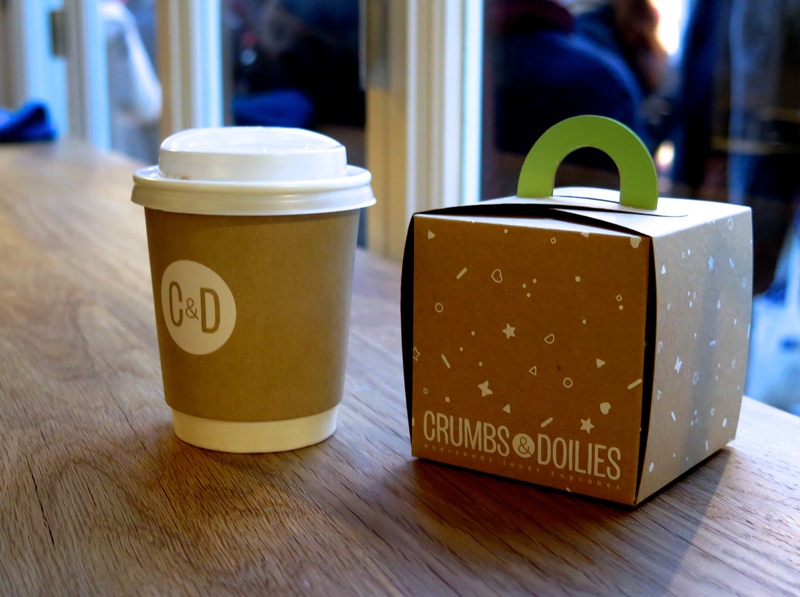 I love Crumbs and Doilies as a bakery as I think they make the best quality cakes in London and I got to see how they work, but this “internship” role is a bit misleading: on the website they’re promoting it as this great chance for you to come work with them, and although they say “this year, one person a month will have the great opportunity to come to our kitchen” they’ve been doing it for over 2 years now: I’m thinking it’s their way of getting free extra hands to help at work; unlike what an internship should be like, I definitely didn’t learn stuff every single day. On top of that: it means the girls in the kitchen are used to people coming and going, and so although they were nice, they didn’t really try to be friends so I sometimes felt quite lonely. 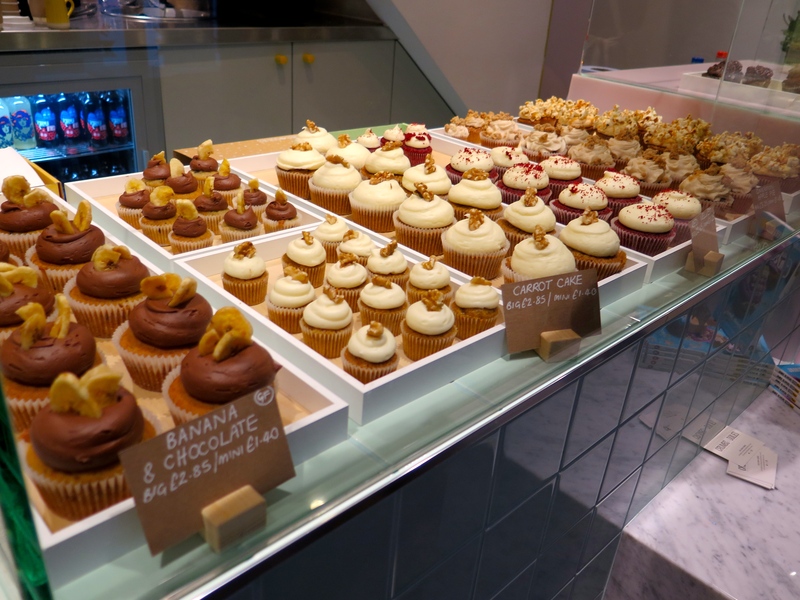 I kinda ran away on the last day… But things may have changed now (that was last year) and also: they have the bakery in Soho! Maybe you should be clear about the things you specifically want to do and let them know you don’t want to do free labour.